Stark Law violations are a source of referrals for whistleblower claims, or qui tam lawsuits under the False Claims Act (FCA). Stark law refers to Section 1877 of the Social Security Act, 42 U.S.C. 1395nn, which deals with physician self-referrals. Prohibits a physician from making referrals for some designated health services (DHS) that are payable by Medicare for providers or entities where the physician or immediate family have any financial relationship. Prohibits the provider from delivering claims to Medicare for referred services. Creates certain exceptions for any financial relationships that don’t pose risk of either patient or program abuse. What are Designated Health Services? In 1989, when Stark Law was enacted, it initially applied to referrals for laboratory services. It has since been expanded, and enhancements were made to the law that extend to a number of other types of providers. The Centers for Medicare and Medicaid Services define designated a number of health services, including physical therapy, clinical laboratory services, occupational therapy, and others. Businesses that provide any of the listed services are banned from receiving referrals from doctors they have any sort of financial relationship with. The connection can be direct or indirect, through a variety of channels and connected entities. And, if the doctor does make the referral, the provider violates the law by submitting the claim to Medicare or Medicaid. Fee schedule arrangements should be in writing, be for more than one year, and have clarified terms. Payments that are “off the books” or fall outside the scope of a written contract are some of the more common places violations exist. Doctors shouldn’t have financial incentive to refer a patient to a particular provider. In other words, there should not be a volume bonus for a certain number of referrals. Compensation agreements should be fair-market value and not a higher amount with this particular provider than would be agreed to with any other provider of the same specialty. Because financial agreements and contracts between healthcare providers are typically private and confidential, whistleblowers play a vital role in bringing Stark Law violations to light. 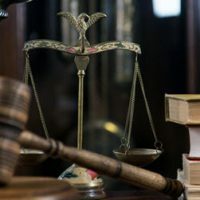 If you’re currently employed by either a physician or health care provider that may be involved in a Stark Law violation, it’s important to discuss the case with a skilled qui tam litigation attorney as these claims are very complex. Contact the West Palm Beach team at McCabe Rabin, P.A. to schedule a confidential consultation.